Fall Protection violations again is the number one most cited violation on OSHA's top 10 list for 2012-2013. In fact of the top 10 the construction industry is responsible for 3 of the most cited: fall protection, scaffolding and ladders. You would think that with all the attention fall protection has been given in the past 4 years that contractors would start getting the hint that OSHA is looking for compliance. However that is not the case. Just take a ride around your town and take a look at all the contractors up on roofs, staging, and ladders and in a few hours you will see numerous unsafe job sites. Who knows when contractors will start getting the hint that they need to be follow the OSHA standards Subpart M, L and X. In the meantime we see fall protection violations and fines mounting in all sections of the country. Contractors we have trained on fall protection send me pictures of what they see in their daily travels. Many of these guys are forwarding the pictures and addresses to OSHA as a complaint. They are sick and tired of seeing others not follow the same rules they do. 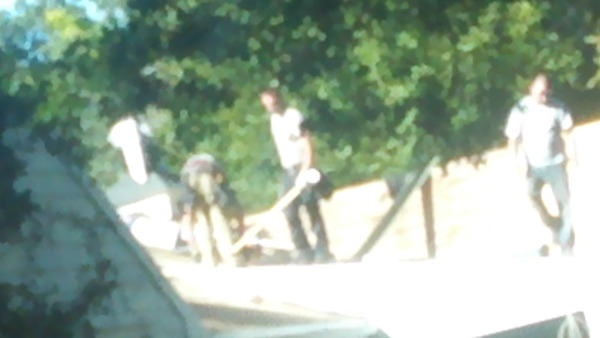 This picture of a roofing crew was taken two weeks ago in Worcester, Ma. by a client we trained on fall protection. In a recent conversation with an OSHA employee he said he sees more ropes up on roofs but still is amazed at all the contractors who are ignoring the safety standards. He said if they are visited they will likely be cited and can be fined significantly. This next picture also in Mass was sent by another client. 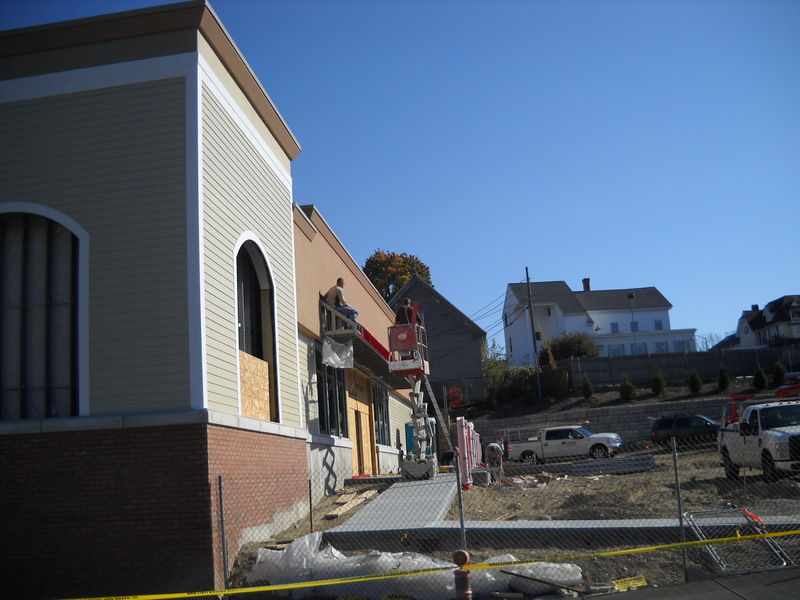 This job was also in Worcester, Ma. See the list of OSHA 10 most cited below. If you are not up to speed with these standards it might be a good idea to do so. If OSHA rides by your site and your employees or your subs are ignoring fall protection safety you will likely be audited and if violations are found, cited and fined. In case you are not aware fines are $7,000 per person for serious offenses and $70,000 for willful offenses. If you need help or guidance on how to get started with your fall protection safety program and training contact us.